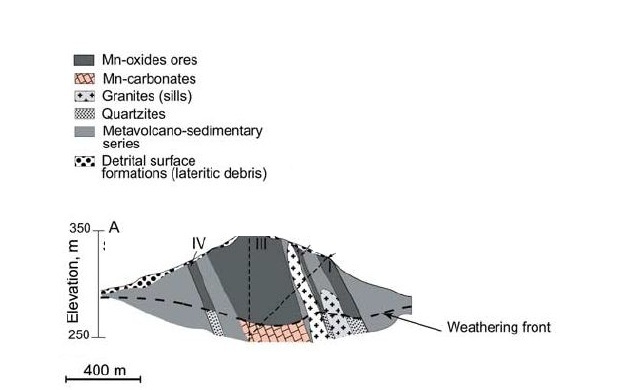 Beauvais, A., G. Ruffet, O. Hénocque, and F. Colin (2008), Chemical and physical erosion rhythms of the West African Cenozoic morphogenesis: The 39Ar-40Ar dating of supergene K-Mn oxides: Journal Geophysical Research, v. 113,p. F04007, doi:10.1029/2008JF000996. Mining Magazine, June, 1981, Tambao manganese deposit, Upper Volta, p. 437.